On November 4 the voters of the United States will choose their next President. But the voters of California will also be voting on proposition 1A and deciding whether or not to authorise the USA’s first high speed raiway, the first stage of a new line running between San Diego and Sacramento, with connections to the Bay Area. Los Angeles to San Francisco by rail in two and a half hours? High-speed rail advocates in California have been pushing high-speed rail for 25 years and have never been able to raise enough public support. But now a confluence of events – rising fuel prices, gridlocked roads, jammed airports, a concern about global warming and the need to bootstrap the economy – present the best chance yet to bring high speed rail to America. 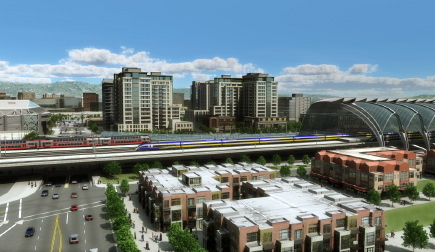 Proposition 1A would authorize $9.95 billion in bonds to finance the first phase of an 800-mile high-speed rail line that would connect the San Francisco Bay Area with Los Angeles. Several transportation, environmental and business groups say it would offer a faster, cheaper and greener travel while easing the strain on California’s notoriously backed-up highways and airports. Trains would make the 400-mile run between the two cities at about 220 mph (considerably faster than the 150 mph top speed attained by the USA’s fastest train, the Acela Express, linking Washington, D.C. with Boston). The project is expected to cost $32 billion, with extensions to San Diego and Sacramento adding another $10 billion. The rail authority envisages that local taxpayers, the Government and private investors would share the costs equally. Construction could begin as early as 2011 and trains might be running by 2020. Advocates claim the largest public works project in state history would create as many as 160,000 construction jobs and spur 400,000 more jobs once the system is up and running. ” Labour transport policy ‘failing’ ” screamed the headline on the BBC On-line news page this Sunday. By Monday the article had vanished from the BBC’s news feed and could not be found via the BBC’s own search engine. However, the review of Traffic Jam – Ten years of ‘sustainable’ transport in the UK by Iain Docherty and Jon Shaw remains on-line – if you know where to look for it! Docherty and Shaw dismiss ten years of government transport policy as “a big disappointment”. They say that, a decade after Labour outlined its new deal on transport in the White Paper, A New Deal for Transport: Better for Everyone, government has failed to cut traffic congestion, ignored the need for railway investment and neglected walking and cycling. In 1998, the then Deputy Prime Minister John Prescott said he would regard himself as a failure if, in five years, traffic congestion had not fallen and public transport use increased. Transport carbon emissions continue to rise. railway under construction on Nov 2007 in Tianjin. China’s State Council has approved 2 trillion yuan ($292 billion) for the construction of a series of railway projects, to help boost economic growth amid the worldwide financial crisis. By 2010, the total length China’s railway network will reach 90,000 km an increase of 20% compared to its size in 2006. About 1.2 trillion yuan ($174 billion) has already been allocated to specific projects, Wang Yongping, spokesman for the Ministry of Railways, said on Friday. Construction work is due to start soon. Zheng Xinli, a senior government policy advisor, said: In 1997, we dealt with the Asian financial crisis by stimulating domestic economic growth by investing in the construction of highways. This time the money will go on improving the rail network. Slow and relatively poor-quality services and busy trunk lines are the major problems facing China’s railway customers. Insufficient capacity will still be a problem in 2010, but the Ministry of Railways expects this to be solved by 2015. The volume of traffic carried by rail is expected to double with the completion of the trunk line network by in 2010. The railway industry construction boom is expected to last over 10 years. I suppose it’s too much to hope that a similar strategy might be adopted by the governments of Britain and Poland. Wolsztyn’s Tr5-65 and six wheel vintage coach in Poznan. Photo Robert Dylewski, Fundacja Era Parowozow. Some 40 years since I first started badgering the authorities that much of Poland’s railway technology has priceless heritage value and that promoted wisely it could be a major tourist attraction, finally, at last, one of Poland’s regional tourist organisations has started actively promoting its heritage railways and museums. 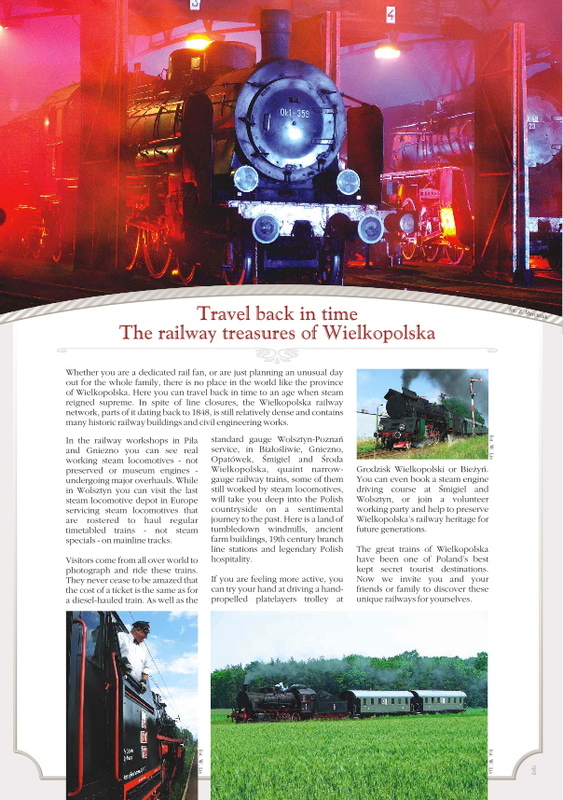 The Wielkopolska Organizacja Turystyczna (Wielkopolska Tourist Organisation) has published a very nice 20 page booklet about the region’s heritage railways and museums. The booklet is very informative and covers everything you might want to know from where and how to hire a hand-propelled platelayers’ truck to where to go to book a steam special for the your next company do. It is full of practical information and includes basic contact details such as telephone numbers and e-mail addresses. Unusually in a Polish guide, for many of the organisations listed there is actually the name of a contact person. The English text is in English, not Polinglish, and even the Talyllyn Railway, which is not in Wielkopolska, but in North Wales, manages to get a mention. The guide was launched at TOUR SALON 2008, an annual exhibition to promote the attractions of the Poznan region. PKP Cargo brought along Wolsztyn’s 2-8-0 freight locomotive TR5-65 and kept the engine in steam throughout the exhibition. At last some people in Poland are beginning to realise that stuffed dead locomotives do not compare with living and breathing steam engines. It’s just a pity that so much of Wielkoposka’s railway heritage has been destroyed over the last 40 years. Nearly all of the Wyrzysk Railway. Let’s hope that by combining the good will of a few enlightened people and the lobbying power of Behind The Water Tower, there won’t be too many further casualties. after the accident on September 15, 1907. I apologise to readers of Behind The Water Tower for its non-appearance during the last 4 days. This has been due to circumstances beyond my control. I hope to restore normal services by 10:00 hrs GMT Friday 24 October. More details about the accident pictured in the photograph here. Alan Heath asks a good question. Why, when the Zlote Tarase (Golden Terraces) shopping centre development was being negotiated with the Warsaw authorities, wasn’t the original option pursued of linking the development to Warszawa Centralna station? The centre would have gained more shoppers; PKP and its customers would have gained a refurbished station. Alan points to Leipzig Station as an example of what could have been done. We are stumped for an answer, but will investigate. This picture of Bialystock station on the W-wa Jeziorki blog has a Marie Celeste feel about it. In communist times, Bialystock was an important railway junction and the last big town before the Soviet border. A network of branchlines brought people and goods into the big city. Communist party bosses sent on delegacje to the Soviet Union could stretch their legs while the big Polish Pt47 2-8-2 express steam locomotives took on water. Heavy freight trains regularly took Polish food and manufactured goods deep into the Soviet hinterland. Now the branchlines are decaying, the people come to Bialystock by car and the only heavy freight rumbling through the stations are trains bringing Russian coal into Poland. Click on the photo will take you straight to Mike’s article, Rush hour in Bialystock. Clicking on the photo again once you have reached W-wa Jeziorki will take you to a glorious high resolution version which would make a great screen saver. As well as Mike’s brilliant photography, another reason for visiting his blog is that 6 out of his last 8 posts have a railway interest. Is BTWT about to have a serious competitor? Don’t leave it too late. VOTE! A hand propelled platelayers’ trolley on the Starachowice Railway in the days when the Polish Narrow Gauge Railway Foundation, FPKW, was the operator. Photo FPKW. Do please take part in our poll and tell us what we should write about. Have we, for example, given sufficient coverage to the Polish passion for charging about on disused railways using home made platelayers’ trolleys? The poll is not some silly gimmick. BTWT veterans will know that we do listen to our readers and that quite often the subject of a post is a topic that was raised as a reader’s comment a day or so earlier. We want to prepare a strategic plan which will give BTWT some direction during 2009 and the poll is the first consultation exercise that we are undertaking to help us firm up the plan. To those who have already taken part in the poll. Many thanks. TELL US WHERE WE SHOULD GO. Clean and uncluttered, the ticket hall at Bialystok, but where should we go? As we ‘go to press today’ BTWT has published 240 posts, received 198 comments and had 39,924 views. As we pass our 40,000 views milestone we would ask you to help us choose our next destinations. If you have a couple minutes spare, please take part in our Poll. The first six questions are ‘multiple choice’, the last gives you a field to write in where we should go. Don’t forget to press the yellow “Vote” button after you have made your choice. Happier times. In December 2006, Warsaw Railway Museum Director, Janusz Sankowski, listens to a speech by former Under Secretary of State in the Ministry of Infrastructure, Miroslaw Chaberek, on the occasion of a meeting to celebrate the 75th anniversary of the founding of the museum. After 17 years in post, Janusz Sankowski, Director of the Warsaw Railway Museum, has tendered his resignation to Adam Struzik, the Chief Executive of Mazowsze province. Sankowski, though friendly and hospitable to foreign visitors, was not liked by the leaders of Poland’s independent railway museums and heritage railways. Sankowski had not kept track with what was happening in the railway heritage world and once famously told Fedecrail President, David Morgan, that “the future of railway museums lay in making and displaying scale models“. He also said that Poland had “too many items of historic rolling stock” and that the best way to solve the problem was to scrap surplus items. The condition of the collection of historic locomotives and rolling stock that has been under Sankowski’s care at the old Warszawa Glowna Station is appalling with many movable items, including steam locomotive cab fittings and even connecting and coupling rods ripped off and sold for scrap. Warsaw Railway museum items stored elsewhere fared little better. Poland’s oldest steam locomotive, Tkh 5, which was delivered to the Railway Museum complete and then sent to the fraudulent skansen at Krzeszowive is now just three wheelsets and a pile of scrap. The final straw for Polish railway enthusiasts came when scrap merchants started cutting up the remains of historic Italian diesel railcar SD-80 which for years has been left as a rusting burnt-out hulk in a siding behind Warszawa Zachodnia Station. At the end of August, Piotr Lewandowski, raised the plight of the collection under Sankowski’s care with the District Prosecutor’s office, and formally accused Sankowski of not properly exercising the duty of care over his collection. Sankowski has told journalists that the problem was caused by Polish railway enthusiasts wanting to “preserve too many items” and that the Museum did not have room for all of them. Railway heritage society leaders counter that they had approached Sankowski many times regarding the possibility of their railways and museums taking particular items of rolling stock into their care and that Sankowski always refused their requests, or proposed punitive conditions which were not practicable for the society concerned. … fancy a quiet retirement job? 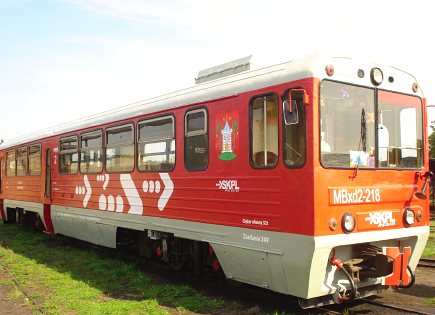 Smigiel Railway Rumanian railcar freshly painted in SKPL’s passeger livery and with the Smigiel coat of arms on the front, but still carrying its PKP vehicle identity code, MBxd2-218. Smigiel Railway’s passenger service restarted on 1 September after a break for the school holidays. The new timetable can be downloaded here as a pdf file. Now the railway is looking for part-time drivers. Are you a retired driver looking to make your UK pension go further? £45,000 will buy you a nice 3 bed-roomed house in Smigiel on a reasonably sized plot. The wages SKPL can afford to pay you will only stretch far enough to pay for your beer, but on the other hand food is much cheaper – the price of a decent beef steak is only a quarter of what you would expect to pay in the UK. I thought that before we go much further with BTWT it would be a good idea to define the scale of the problem so to speak and create an inventory of all the heritage railways and railway museums. It will give some perspective to our stories on developments in Poland. Hence the first, incomplete, draft of an index of Poland’s narrow gauge railways which took most of the weekend to compile and today’s map. The map is admirable because it shows Poland’s mainline railway network, rather than the trunk road network, the implication being that if you are interested in railways you are also likely to want to travel by rail in order to visit them. How different to the small booklet on the railway attractions of [redacted] province which I have just finished translating! A friend phoned up last week to say that he has only a few days to produce an English language version of a guide to railway attractions and would I help him by editing his translation. Of course, I ended up re-translating the booklet from scratch (much easier than editing a non-native speaker’s translation) and rewriting half the original text. Today I received the cover artwork – very professional. Then I looked at the inside back page. There were motorways, trunk roads, minor roads, churches, museums, palaces, examples of wooden architecture… . If you looked at the map very carefully you could just see the standard gauge railways, but if you wanted to find the narrow gauge railways that this booklet was supposed to be promoting you would have to look for a very long time – they weren’t included. Of course, I boiled and phoned my friend. “Too late”, he said. “100,000 leaflets must be ready by Thursday”. Perhaps, BTWT should produce its own guidebooks which would be available as a pdf download to all our supporters? 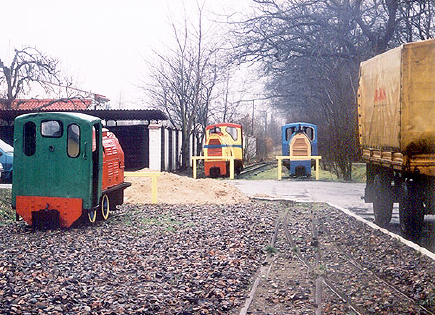 As a result of the large rises in the price of diesel and the increased wages of lorry drivers in Poland, Poland’s disused branchlines are enjoying something of a revival. Several local authorities are exercising the option to take over their lines free of charge. Usually the main purpose is to provide a freight link which would make the towns along the line more attractive to investors, but the long-term revival of passenger traffic is also being investigated. Last week, I attended a meeting at the offices of Lomza District Council where the future of the Lapy – Ostroleka line was being discussed. The Polish Ministry of Infrastructure has indicated that the line will receive no new investment and is scheduled for closure in 2010. Nearly all the representatives of the local councils there were in favour of taking over the line, although a few councillors did point out the considerable lobbying powers of the local road operators. What is ironic is that, just as the Ministry of Infrastructure prepares to push through a freight strategy based on closing branchlines and abandoning wagonload freight, similar to the plans implemented by Dr Beeching in Britain in the 60’s, ‘short lines’ and wagonload freight are both experiencing something of a renaissance in Poland . The picture above by Jacek Chizynski shows recently refurbished pointwork at Lesna Station in Upper Silesia. The investment is not by some ambitious local authority, but by PKP itself, anxious to hold on to a lucrative contract for carrying roadstone to a new tarmac plant at Lesna. A number of readers have hinted that it’s time for BTWT to bring the Wolsztyn story up to date. In June we published an article with the byline, “Is this the end of Wolsztyn as Europe’s last working MPD?”, and although we have published several posts since then reporting on the ‘return to steam’, we have yet to give a comprehensive assessment of the long-term future of the operation. This week, four workings have been regularly steam-hauled: Ol49-69 was diagrammed on 77425 / 77426, Wolsztyn 05:28 – Poznań 07:07 / 09:28 – Wolsztyn 11:20; while Pt47-112 was diagrammed on 79322 / 79327 Wolsztyn 05:56 – Leszno 07:10 / 15:43 – Wolsztyn 16:44. On Wednesday Pt47 also hauled a special working at 10:00 from Wolsztyn to Zbaszynek and then the returned to Leszno after which the train became the 79327 diagrammed working to Wolsztyn. In the short-term, Wolsztyn is ‘back in business’ and the actual summer gap – during which the steam haulage of scheduled passenger trains was suspended – was much shorter than at first announced. It can even be argued that the position of Wolsztyn now is much stronger than it was before the crisis. The enormous outpouring of public support for the continuance of Wolsztyn’s steam trains took everyone by surprise, and will mean that anyone who comes up with a plan to close the operation down is unlikely to succeed. The recent crisis also proved the professionalism and resilience of Howard Jones’s ‘Wolsztyn Experience’ operation. Making the most of his back up arrangements at Wroclaw and on the Smigiel Railway Howard ensured that none of his paying guests returned from Wolsztyn disappointed. On a number of occasions during the recent break in scheduled workings Howard dipped into his own ‘war chest’ to hire empty stock workings or light engine movements to ensure that all his commitments to his customers were met. Wolsztyn Experience’s main WWW site reports optimistically about a 5 year partnership between Wielkopolska province local authority and PKP. But this is Poland where all agreements have a secret back door escape route. Taking a long term view all is certainly not well. PKP Cargo’s running of Wolsztyn is reminiscent of the way that Bryn Eglwys slate quarry was run in the last days of its operation. Because the cost of driving new levels to reach virgin slate was prohibitive, the quarries were kept open by mining the pillars that kept the roof of the mine from collapsing. (Eventually the roof of one of the quarry chambers did collapse, but fortunately without any loss of life.) Wolsztyn’s steam locomotives are kept going by a policy of cannibalising locomotives whose boiler ticket has expired and mending and patching, but they really need major investment and professional maintenance if they are to continue running an intensive daily passenger service for many years into the future. Frustratingly, a solution for the management of PKP’s heritage railway assets was found, but never implemented. Fundacja Era Parowozow was set up by PKP Cargo to take over and manage its historic rolling stock. The idea was brilliant by giving its historic rolling stock to a charity, PKP could write off the transfer against tax. Moreover Fundacja Era Parowozow as a charity could collect funds from businesses and local authorities and could also partner local authorities in applying for EU grants. So what happened? In the end PKP Cargo decided to hold on to its steam engines as use Fundacja Era Parowozow solely as a marketing vehicle! The short-term nature of this decision will become apparent as PKP Cargo goes through a series of reorganisations to prepare itself for privatisation, and is then privatised and subsequently sold to Deutsche Bahn. In the meantime Howard Jones and others are working on a ‘Plan B’. Welcome 2009 with steam and champagne! The New Year’s Eve Steam Special from Chabowka to Zakopany this year has an an outlaw theme. The legend of Janosik – a Robin Hood like figure – permeates local folklore in the land of the mountain people, the Gorale. For 200 PLN a head, or 390 PLN for two, you get includes traditional Polish food, folk musicians and a band of outlaws, the grilling of Polish garlic sausages over a bonfire, some booze, a glass of fizzy wine AND a Ty2 steam pulling your vintage train from Chabowka to Zakopane and return. More details from Fundacja Era Parowozow. PKP Cargo have a national freight forwarding agreement with SKPL. SKPL’s goods stations (both narrow gauge and standard gauge) appear on PKP Cargo’s List Tariffs. A prospective customer can look up his intended departure and arrival points in the List, multiply the resulting tariff by the tonnage to be carried, and will then know how much it will cost to transport the goods by rail. The next step is to ring the nearest PKP Cargo freight office and arrange the details. For long-term carriage of large consignments PKP Cargo is prepared to offer attractive discounts. If the goods depot lies on a railway line served by SKPL, it makes no difference. The customer deals with PKP Cargo who then pay SKPL a fixed percentage of the total tariff in return for SKPL originating or terminating the journey on its tracks. In the case of SKPL’s narrow gauge railways, such as the Kalisz or Smigiel Railway, SKPL, carry the standard gauge wagons, a la Calthorpe, on narrow gauge transporter wagons. As the Mayor of Krosniewice has not appointed another operator since terminating the operating agreement with SKPL, there is now nobody to terminate the traffic at the goods stations on the Krosniewice Railway. Accordingly, PKP Cargo have announced their intention to remove the Krosniewice Railway freight handling points from the list of tariffs. 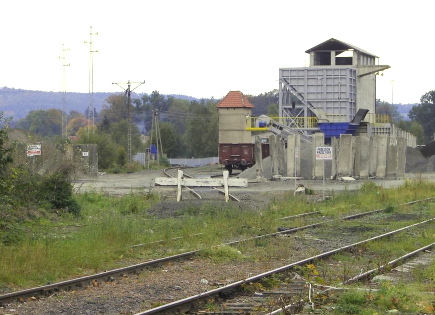 A pity – a major aggregate company was planning to carry 100,000 tonnes of roadstone by the Krosniewice Railway – a traffic which would have done a great deal to revive the railway’s fortunes. Now it will all have to go by road. In 2,000 lorry loads! Geoff Hoon admires a model railway. The reshuffle at the Department of Transport is complete. Geoff Hoon, the son of a railwayman, has replaced former Secretary of State, Ruth Kelly, and Lord Adonis takes over the rail portfolio from former Under Secretary of State, Tom Harris. Our favourite railway pundit, Christian Wolmar wrote a very hostile article on his blog regarding Hoon. Hoon is a man so devoid of charisma or style, and so smug and complacent, that it is a wonder he has survived in politics so long and, indeed, been in the Cabinet for over half a decade. However, it is only fair to point out that Wolmar’s hostility has more to do for Hoon’s stance with respect to the war in Iraq rather than Hoon’s views on transport policy, which are largely unknown. The appointment of Adonis as rail minister gets the thumbs up treatment from Wolmar. Adonis is a real enthusiast for the railways and he even reviewed my book very favourably… His two passions are schools and railways, and this is his dream job. Bringing us down to earth in his own post about Adonis’s appointment, our blogging colleague, The Fact Compiler, reminds us that, At the end of his review of ‘Fire and Steam’ Lord Adonis adds: “The big debate for the future is if and when High Speed Two and Three are to follow”. Well my Lord. Perhaps you can now tell us? 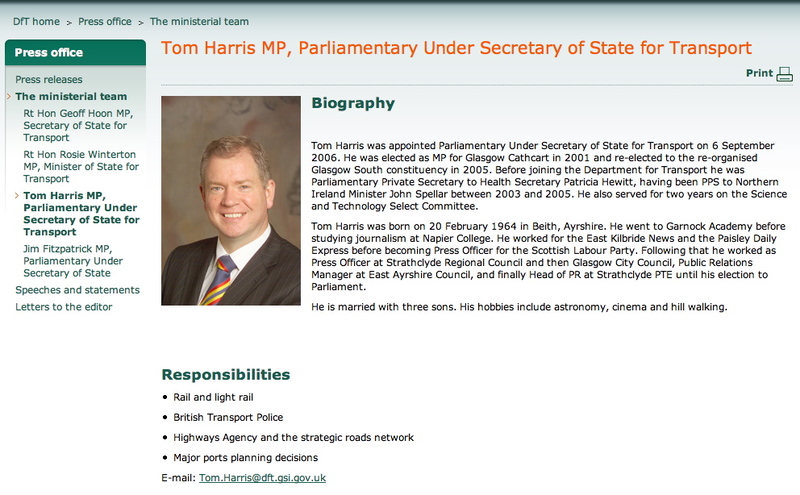 Tom Harris, who until his phone call from Gordon Brown on Friday evening, was the Under Secretary of State in the Department for Transport, has been sacked. It would be hypocritical for me to shed crocodile tears. I bayed with the rest of the hounds for Tom’s blood when he supported the DfT line that the Department should be modally agnostic. Yet it would be dishonest of me not to record that although I disagreed with Tom on many matters of policy he also had many good qualities. He was well liked by the UK railway heritage movement and enjoyed a good working relationship with David Morgan, the chairman of the Heritage Railway Association, and Fedecrail – the UK and European umbrella bodies for museum and tourist railways. He was well respected by the Railway Industry Association, whose Director General, Jeremy Candfield, posted a tribute on Tom’s blog. Paul Martin, Director General of the Railway Forum, posted another. Tom was the son of a lorry driver who actually travelled by train! He treated those who worked for him with respect and was respected by them in return. On the other side of the balance sheet there are those who felt that he had never completely managed to wrest rail transport policy out of the grip of the dead hands of his department. It is the manner of his passing that is a shock. It means that with Ruth Kelly’s departure, two key positions in the Department are being rotated at once. Geoff Hoon, who takes over from Ruth Kelly as Secretary of State will not have a Minister who can advise him on the Byzantine nature of British railway policy and politics. Nearly 48 hours after Gordon’s phone call to Tom, the DfT website is still showing him as the man in charge of Britain’s railways, trunk roads and ports. Nor has Tom’s successor yet been announced. Our own reading of the tea leaves is that the decision to sack Tom was not planned as part of the original reshuffle, but is a last minute afterthought. Tom had published a gushing tribute to his former boss, Ruth Kelly, on his blog. Ruth – although nothing has been said officially – had somehow contrived to become persona non grata with the Prime Minister. Since her departure from office she has nailed her colours firmly to the mast of David Milliband’s political ambitions. In the paranoid atmosphere that surrounds No. 10, Tom’s tribute to Ruth was seen as a coded attack against Brown, so the guns were out for Tom. A comment from Robert Hall regarding the gauges of the Warsaw narrow gauge railways gives us an excuse to post this map, published in a 1924 guidebook, of Warsaw’s railways during the inter-war period. The map is not to scale and the routing of the lines has been greatly simplified. Nevertheless it will repay some further study. The standard gauge network within Warsaw has actually grown since 1924. A map of the current network is shown on the PKP website here. 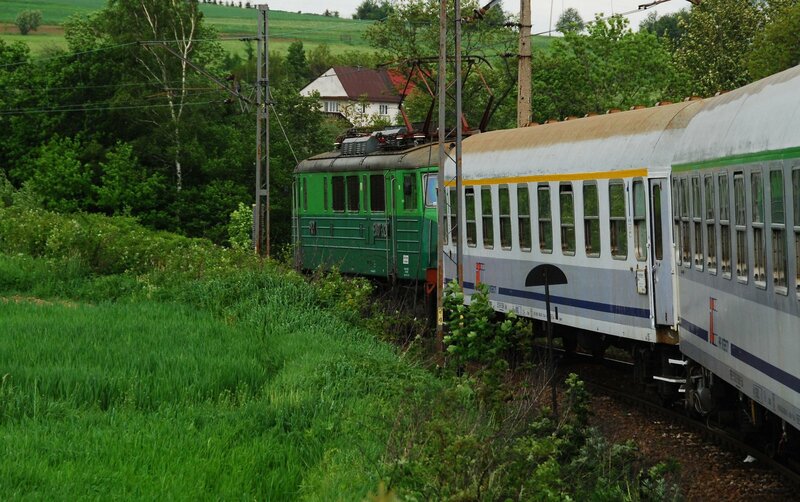 Let’s start our quick review with the curious North-South line from Dworzec Gdanski to Mlociny. Other maps show this as a tramway. In a month’s time, passenger trains will once again run between stations bearing these same names, but this time on the last and final section of the Warsaw Metro. Intriguingly the map shows an extension under construction to the North of Mlociny. Can anyone out there shed any more light on this railway? Getting back to the city centre, curiously enough, the map does not show the route of the Warszawska Lnia Srednicowa, the construction of which was approved in 1921. Work on the line, linking the main stations on the left and right banks on the Vistula, Dworzec Glowny and Dworzec Wschodni, started in 1924 and the line (in its original two track form) was completed in 1933. Neither does the map show the planned route of Warszawaska Kolej Dojazdowa, the construction of which was first mooted in 1918. However, as the building of this line did not actually start until 1925, and the first train ran in 1927, that is perhaps understandable. The first narrow gauge railway to be constructed in Warsaw was the Kolejka Wilanowska, an 800 mm gauge horse tramway from Belweder to Wilanow. It was first opened in 1892 and steam locomotives, tram engines with enclosed wheels and motion, were introduced in 1894. In 1896 the line was extended to Jezorna and in 1900 to Konstancin. At some stage the line was extended to plac Unii Lubelskiej at its northern end and to Piaseczno at its southern end. 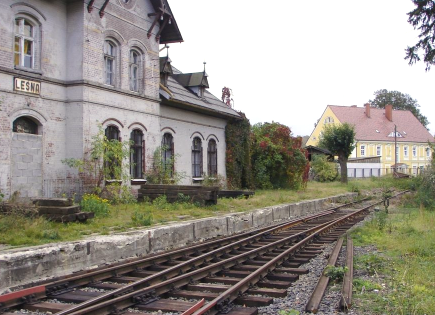 In 1935 as the result of a court decision which affected both the Kolejka Wilanowska and the Kolej Grojecka, both railways lost their street running sections within the City’s boundaries, the Wilanow Railway being cut back to Belweder. According to the Piaseczynska Kolej website (Polish only) the Wilanow Railway was regauged to 1,000 mm in 1936 and from that time became an integral part of the Kolej Grojecka system. In 1897 (some sources say traffic started unofficially in 1896) the 800 mm Kolej Marecka was opened as a horse tramway, from Targowek to Marek. An Orstein & Koppel steam locomotive was bought as early as 1896 and tried out on an unopened section of line in 1897. By 1899 the line had reached Radzymin, and work to relay the railway with heavier rail more suitable for steam locomotives was in full swing. The original weight was 10 km/m and the replacement rail was 14 km/m. In 1901, the line was extended westwards from Targowek to Warszawa Praga Stalowa. At that stage the line was about 12 miles long (19.6 km) and had many short branches to various industrial establishments along its length. In 1916 the German occupying forces built a branch from Struga to Zegrze, reusing some earthworks and bridges that were built before the war, possibly for a standard gauge line. Shortly afterwards they extended this branch to the North East from Struga to connect at Wawer with the Kolej Jablonowska. This extension, the Linia Wojenna, continued in use until 1923. In 1889 a 1,000 mm gauge line, which was to subsequently become known as the Kolej Grojecka, was opened from plac Unii Lubelskiej in Warsaw to Piaseczno, running broadly parallel to the Wilanow Railway. In 1900 the new line reached Gora Calwaria. In 1914 a branch, which subsequently became the main line, was opened to Grojec. The Grojec line was extended in stages and reached Nowe Miasto nad Pilica in 1924. In 1935, the Grojecka Railway’s operations in the streets of Warsaw were cut back to ul Odynca because of of the desire of the city authorities to give greater priority to motor traffic and the planned extension of a tram route along ul. Pulawska. In 1938 the line was cut back further to a terminus called Szopy (literally sheds) later renamed Warszawa Poludnie, (Warsaw South) currently the site of a bus station and the Wilanow metro station. In 1900 the 800 mm Kolej Jablonowska was constructed, linking communities along the right bank of the Vistula. It first ran from Jablonna to Wawer and in 1914 was extended to Karczew. This concludes our quick review of the birth and growth of Warsaw’s narrow gauge railways. Some of the information sources that I have checked this account against are vague, some are conradictory, so if you have any further information, do please write. Tomorrow we’ll look at the history of Warsaw’s narrow gauge railways after WW II – an initial period of explosive traffic growth followed by subsequent decline and closure.